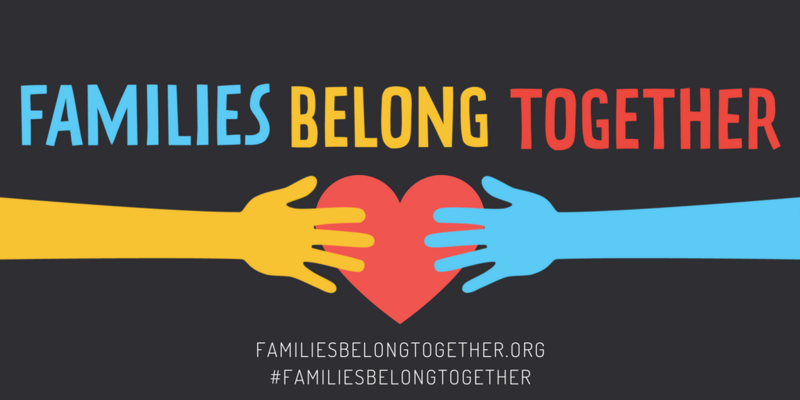 On Saturday, June 30, YWCA and many other organizations will be gathering in Washington, D.C. and communities across the country to say that families belong together and free – and to demand that this administration reunite families immediately and end family separation and detention. We encourage you to join us and hundreds of thousands of others as we take a stand against injustice. 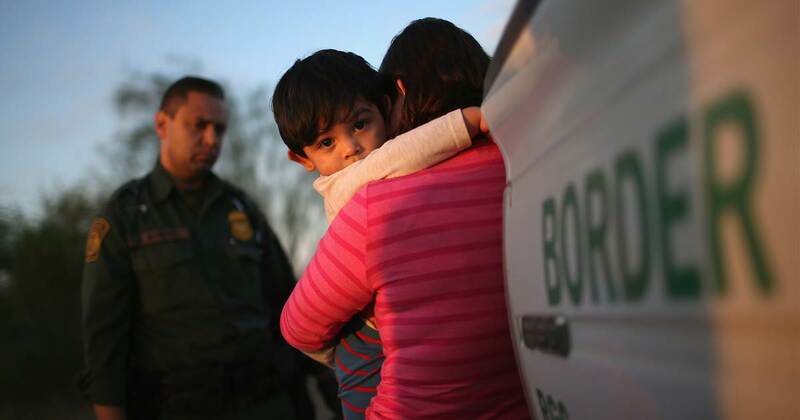 The Administration’s adoption of a “zero-tolerance” prosecution policy has led to thousands of children being traumatically taken from their parents’ arms and separately detained in facilities that have been compared to internment camps. The President’s recent Executive Order claiming to end the practice of family separation through indefinitely detaining families together is unacceptable. The alternative to family separation absolutely cannot be family incarceration. The President’s order also fails to provide any guidance as to how families will be reunited, so over 2000 kids remain separated from their parents or caregivers. As an organization committed to racial and gender justice, and as one of the oldest and largest women’s organizations in the country, we at YWCA know how crucial it is to take a stand against injustice. We refuse to stand by silently while policies that harm women, families, and communities of color are enacted. We know that immigrant justice is racial justice, and that this country has a deep-rooted history of criminalizing people of color. The current Administration’s immigration enforcement efforts continue this history of punishing and criminalizing immigrant parents of color. We know that family separation is not just happening at the border. Right now, families are being torn apart – from children at the border to DACA and TPS recipients to mixed status families to victims of police violence. We know that the immigration policies of this Administration have increased the policing and surveillance of immigrant families and communities of color, on the borders and across the United States — in schools, courthouses, workplaces, and more. This shouldn’t even have to be stated: This Administration should not be using children as pawns to pass anti-immigrant policies and punish parents; it is inhumane and cruel. As one of the largest networks of domestic violence service providers in the U.S., we know that this Administration’s “zero-tolerance” policy, coupled with the decision to deny survivors of violence asylum, will have devastating effects on immigrant survivors of gender-based violence. We know that families fleeing violence, survivors of domestic violence, and people seeking asylum in the United States are being punished, and that as a result, people’s lives are increasingly at risk. YWCAs across the country have always opened their doors and provided resources to women, children, and families who are in need. We have always pressed forward and demanded change. From YWCA El Paso del Norte Region to YWCA Brooklyn, we are continuing that important legacy by offering support to the immigrant families being impacted and traumatized by cruel anti-immigrant policies. YWCA is seeing the impact of these immoral immigration practices every day as the immigrant women and families we serve are refraining from participating in programs due to the fear of being detained or deported. If you are attending the march in Washington, D.C. or anywhere else around the country, please feel free to download, print, and carry these rally signs. Lift up the rally and the issue of family separation via social media using the hashtag #FamiliesBelongTogether. Urge your member of Congress to protect and defend domestic violence victims and reject the Attorney General’s decision in the Matter of A-B-, and sign Tahirih Justice Center’s online petition. Read this blog by our CEO. 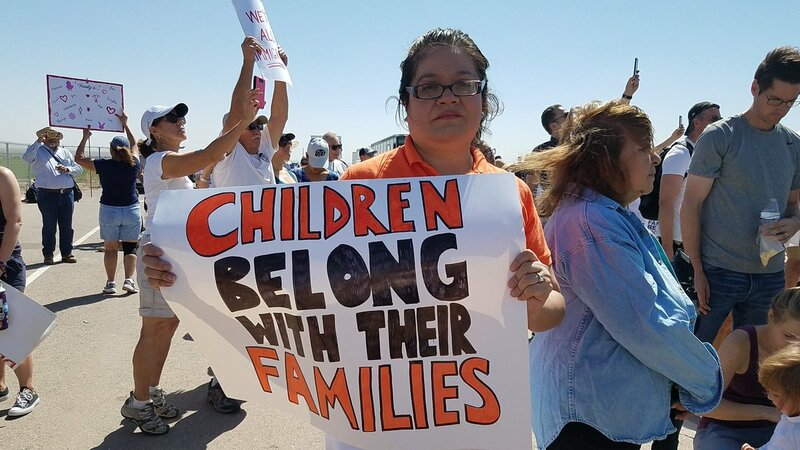 Share your thoughts and reactions with us on social media using #FamiliesBelongTogether and tagging @YWCAUSA. Get other folks registered to vote! Support local get out the vote initiatives to get young people, women, and communities of color registered and encourage them to turnout for the 2018 elections.